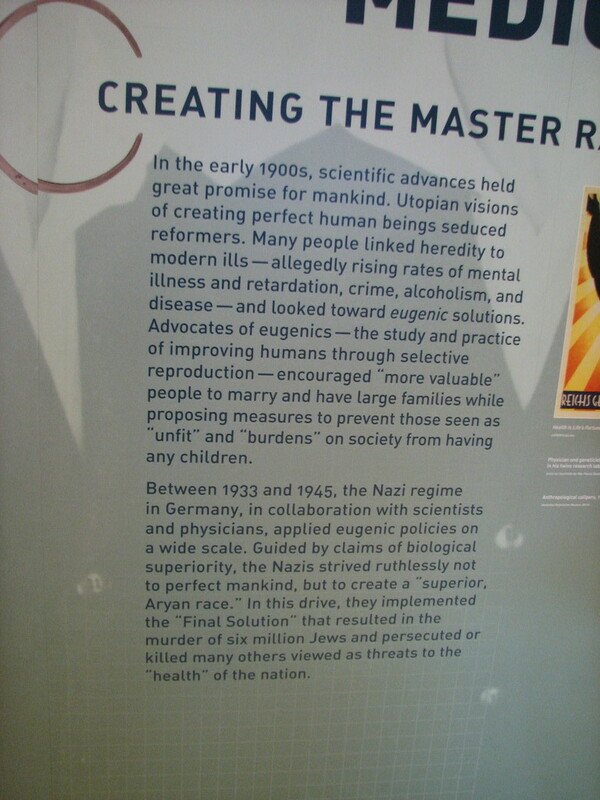 This afternoon, Kathleen and I went to Loyola Marymount to see the “Deadly Medicine” exhibit about how the Nazis used eugenics as justification for the Final Solution. As one would expect, this was a horrifying topic, but one that we should know about. It all started innocently enough, with basic research into genetics. This then led down the proverbial ’slippery slope’, and people found that they wanted to use genetics to try to explain all the ills of humanity. Then it was just a short step to deciding that certain people should not be allowed to reproduce. 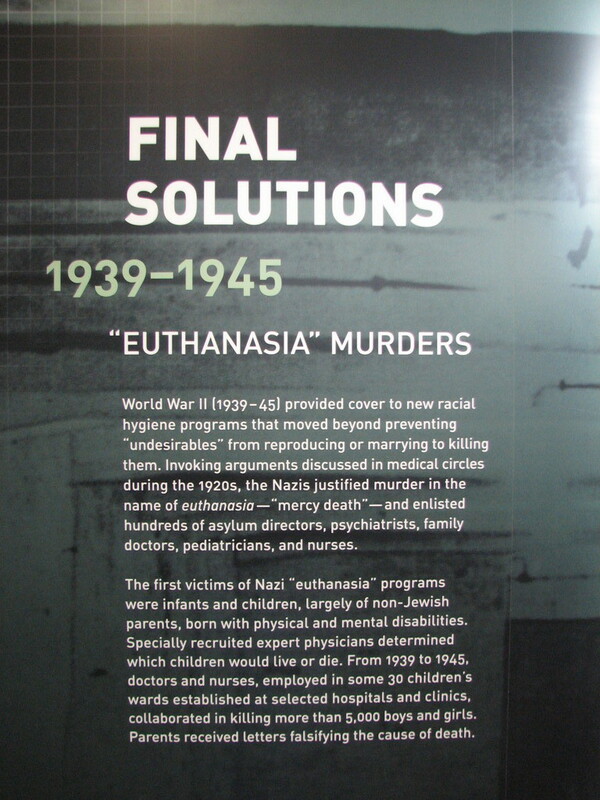 And then the Nazis took that a step further and decided to ‘euthanize’ people they considered ‘unfit’. It all began with good intentions and ended horribly.